Robert Hale served as midwife at the births of all fifteen of his children. 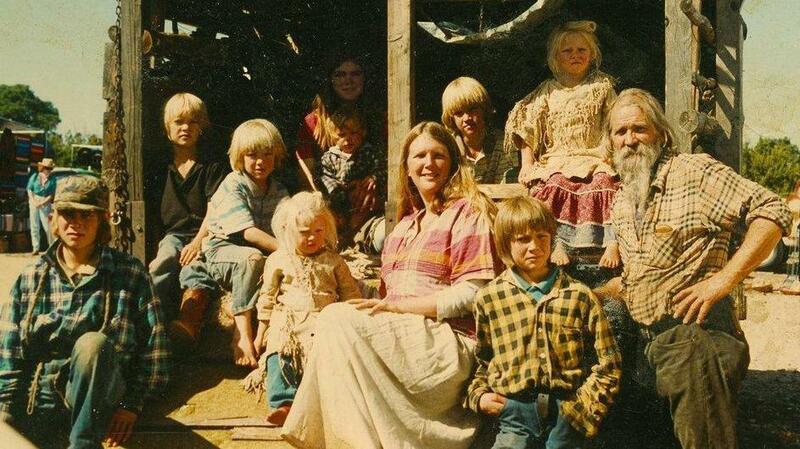 The family homesteaded, homeschooled (although little education took place), and lived in isolation in the Sangre de Cristo mountains of New Mexico until 1998, when Hale, who began calling himself Papa Pilgrim, moved his wife and children to Alaska. In 2002 Hale moved his children into further isolation, purchasing several hundred acres in the Alaskan wilderness beyond even the reach of roads. Hale claimed that years before a shaft of celestial light had given him a religious awakening, and that God had now told him to move to the wilderness of Alaska in order to keep his children from the temptations of the modern world. To all outward appearances the children were handsome and capable, albeit living lives from a century before. The family sang together and performed across the state, and their battle against the state to retain rights to a wilderness road to their property had made them famous and roundly praised. But this was all only the outward appearance. In 2005 the family’s dark secrets came to light after the older daughters made a run for it, risking a dangerous dash across the wilderness to escape their father’s totalitarian madness. Hale was arrested, and it came out that he had regularly whipped his sons brutally and sexually abused his oldest daughter, telling her that it was every father’s God-given right to have a “special daughter” and that he would lighten up on the boys’ beatings if she acquiesced to his desires. The home environment was severely authoritarian, and the children were required to call their father “Lord.” Hale had also been beating his wife for years. Hale was sentenced to fourteen years in prison, but died unrepentant before finishing his term.